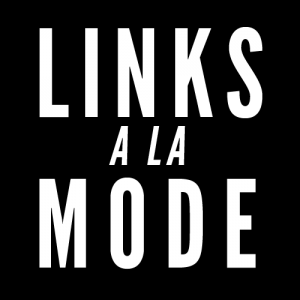 Links a la Mode: Double Celebration! I'm delighted to announce that I've been named in this week's Independent Fashion Bloggers links round-up. This is my second time (you can check here for my first inclusion) so I'm doubly humbled. There's some fantastic posts by a whole range of other bloggers which I recommend reading. This selection was edited By Taylor Davies. Enjoy!